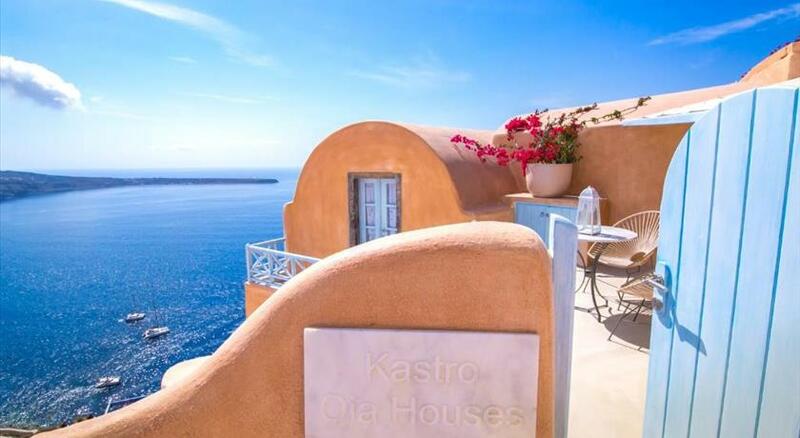 The castle of Agios Nikolaos, situated in the picturesque village of Oia, is the most popular location to admire the world renowned sunset of Santorini. Great atmosphere and astonishing views surround the legendary ruins of the Venetian castle. 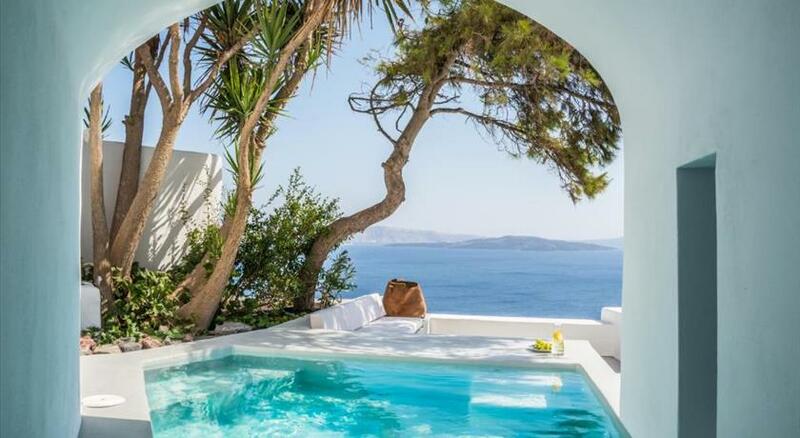 A top destination and thing to do in Santorini. In the captivating Oia village, at the northwest coast of the island, lies the most famous spot for sunset viewing, not only in Santorini but worldwide as well. It is a must and scores of people gather daily in this matchless place to take delight in the unparalleled sunset. 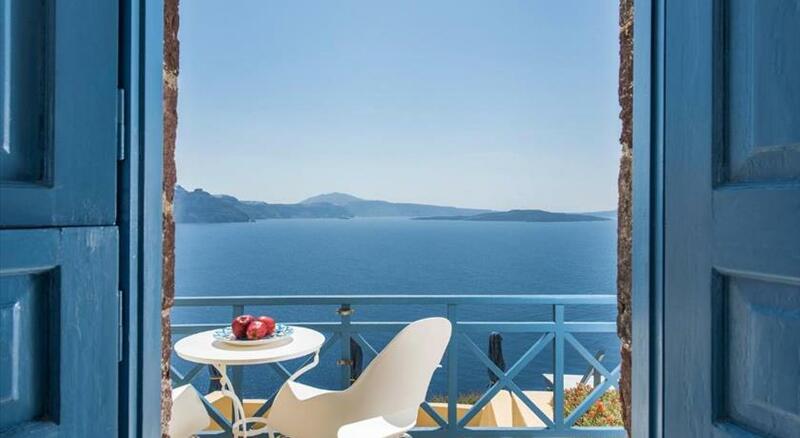 This renowned site is nothing other than the Venetian castle of Agios Nikolaos which is named after a beautiful church carved in a rock, dedicated to Agios Nikolaos. Its existence dates back to the late 15th century when the menacing pirate raids were incessant. In that era the Cycladic islands were under the rule of the Franks. The castle stood at the top of the settlement in order to serve as an observation point. It was very well fortified and there were remarkable residences inside, which belonged to the Venetian rulers. Nowadays, after the destructive earthquake of 1956 when great parts of the fortified settlement collapsed into the sea, there is only a part of its Goulas (=watchtower) left. 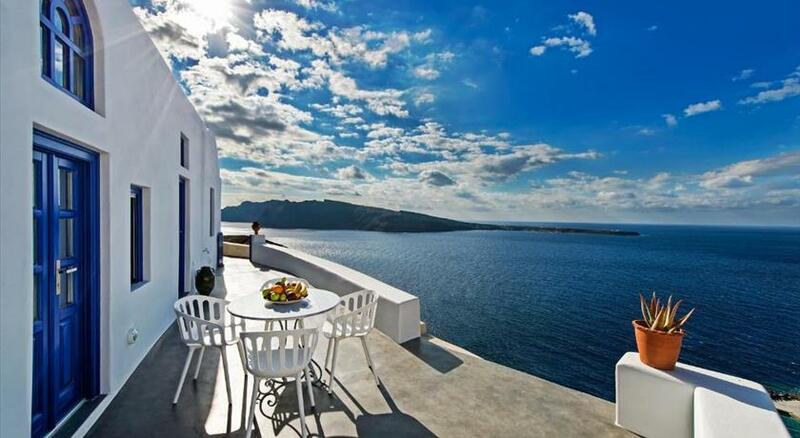 Today, this location provides magnificent views on the breathtaking caldera, the volcanic islands and the vast Aegean Sea. 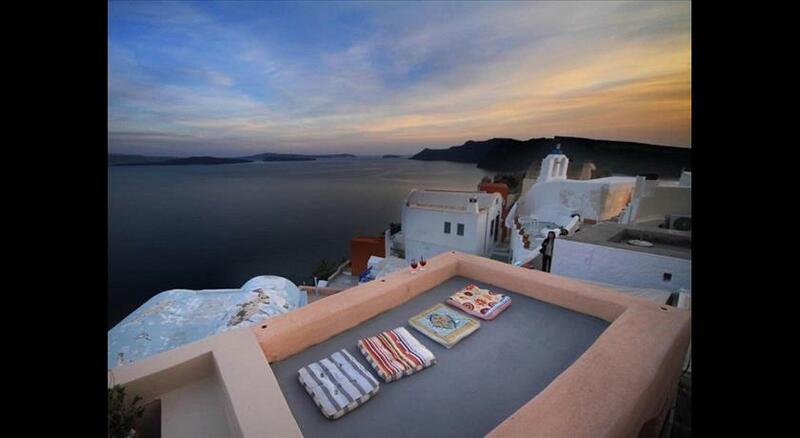 It attracts crowds of visitors who seek a place on the remains of the castle, where they will have the chance to cherish the greatest attraction of Santorini, the magical sunset, in the most picturesque surroundings. Spending an evening on the castle, anticipating the sunset is an utterly rewarding experience as the sentiment you gain is beyond comparison. The sublime view, the beautiful colors of the sky, the aura of the ruins and, most of all, the warm atmosphere that is created by all the people sitting close together and taking delight in this sight are all fantastic. If you prefer more tranquil and private places make sure that you visit the castle any other time of the day, but it definitely shouldn’t be missed.